Presentation at Aquaculture Europe 16 in Edinburgh, Scotland given by Dr. Vesna Milicic on consumer acceptance of aquaponics products, Milicic, V., Thorarinsdottir, R.I, Skar, S.L.G. and Hancic, M.T. 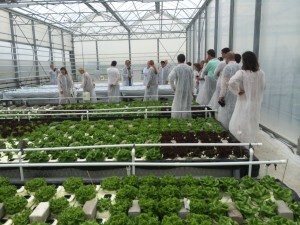 Participation in the COST meeting in The Hague, visiting the aquaponics test plants at Wageningen and the roof-top aquaponics farm of UrbanFarmers. 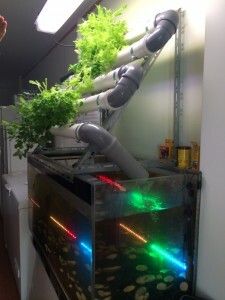 Aquaponics presentation at the Iceland Ocean Cluster in Reykjavik in collaboration with students from the School of Arts. 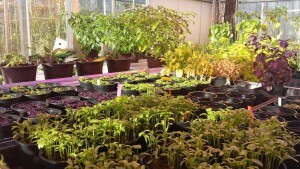 Presentation by Thorarinsdottir about aquaponics at Mengi, Reykjavik for students and teachers from the School of Arts. Presentation at Aquaculture Europe 15 in Rotterdam, Netherlands given by Dr. Ragnheidur Thorarinsdottir on Analytical innovation system framework analysis on commercial aquaponics development in Europe, Thorarinsdottir, R.I., Kotzen, B., Milliken, S., Kopina, M. and Pantanella E.
A film from the COST FA1305 training school on Commercial Aquaponics: How to Develop a Business Opportunity (September 2015). Filmed and produced by Oliver Halsey. 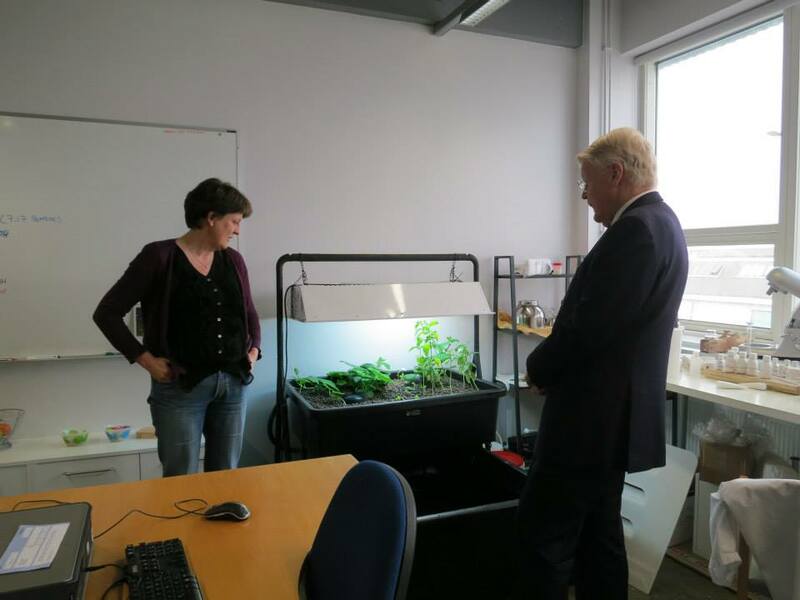 Our aquaponics pilot units were presented to the many guests visiting our office at the open house at the Iceland Ocean Cluster. 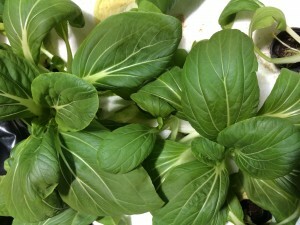 The pak choi was extremely well welcomed by the guests. 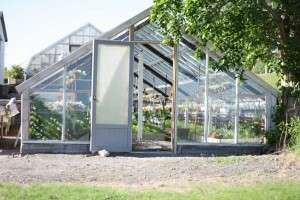 Isak, Ragnar and Ragnheidur told about the systems and the ideas behind the concept. 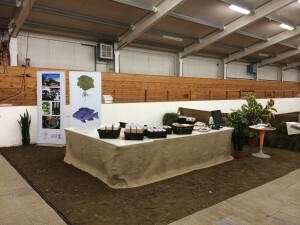 The aquaponics game developed by university students was presented and also photos from our pilot units in Sudavogur in Reykjavik and the greenhouse farm Akur in South Iceland were shown. Many thanks to the many guests that came to our office! 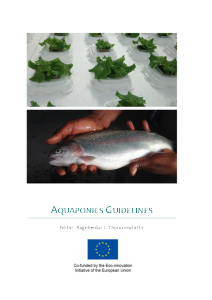 A new publication Aquaponics Guidelines has been published in collaboration with aquaponics specialists from the COST Aquaponics Hub. The printed publication can be ordered by e-mail to svinna@svinna.is (EUR 30) and is available free of charge in electronic form below. 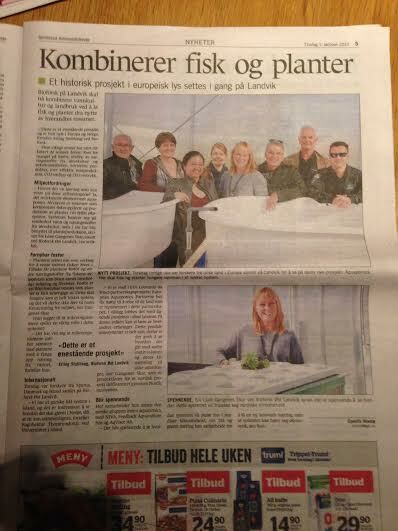 Presentation of IGFF aquaponic test plant made by ‘Food culture’ the magazine of the Agriculture and Food association of Denmark. 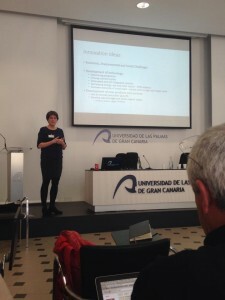 Dr Paul Rye Kledal presented his results on aquaponics economics and viability and Dr. Ragnheidur I Thorarinsdottir presented the preliminary results on analytical innovation system framework analysis on aquaponics at the COST FA1305 The EU Aquaponics Hub meeting held at the University of Las Palmas de Gran Canaria. 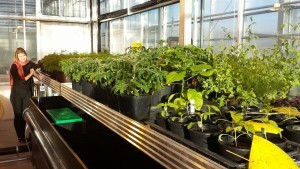 Furthermore, Ms Beatriz Diaz from Breen presented the results from dietary tests in aquaponics and Mr Simon Goddek and Daniel Coaten PhDs at the University of Iceland presented their PhD projects. 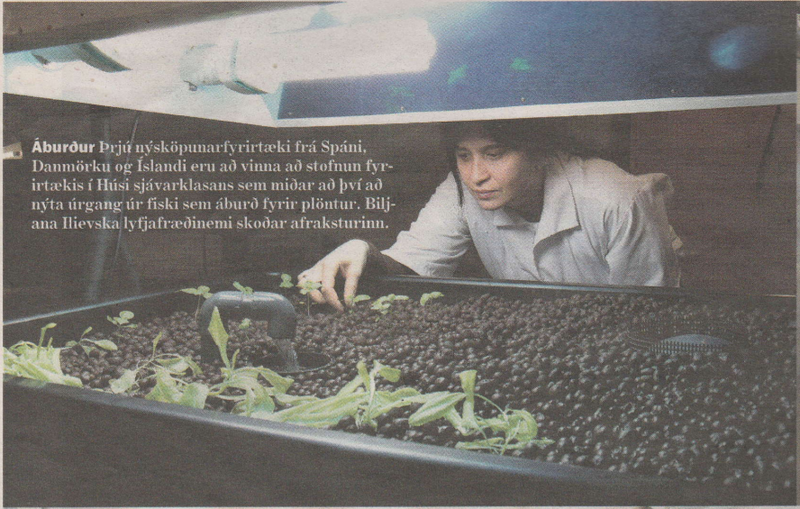 Article on Challenges of Sustainable and Commercial Aquaponics published in Sustainability 2015, 7(4), 4199-4224; doi:10.3390/su7044199. 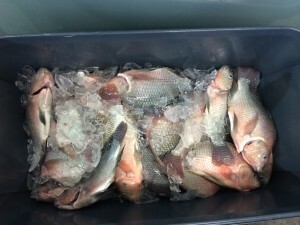 Fresh okra and tilapia were presented for visitors on the formal opening of the third phase of The Iceland Ocean Cluster at Grandagardur 16 in Reykjavik. The okra is growing well providing excellent products. 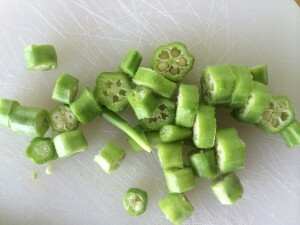 Okra is a well known health product, but not a well known product on the Icelandic market so far. Further tests on concumer acceptance are planned and three different types of okra will be tested during the summer/autumn 2015. 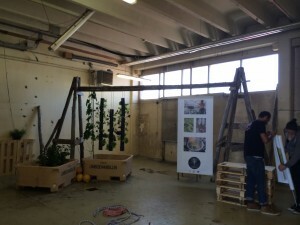 Ragnheidur, Ragnar and Soffia presented the aquaponics concept to Soknarfæri. 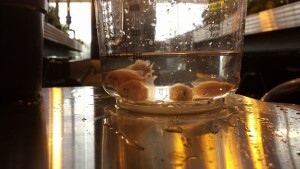 Akvagroup Ltd. visiting the IGFF test plant with Chinese aquafirm and aquaculture university professors. 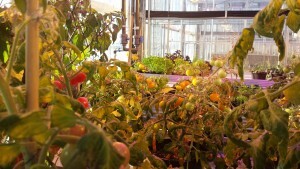 PlantLab visiting the IGFF test plant discussing future cooperation prospects as well as planning for the Copenhagen Urban farm tour on the 16th of March 2015 combined Ecoponics and Leonardo. DTU-Aqua visiting the plant for discussing the possibilities of using IGFF test plant as a research facility on RAS for their MSc and PhD students. 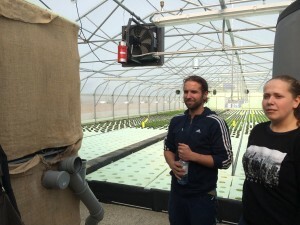 The commercial horticultural producer LEGRO Ltd. visiting the IGFF test plant for discussing the possibilities of IGFF moving into their production plant and testing aquaponics on a more industrial scale based production. Breen presented at the Television Program Sustraia. 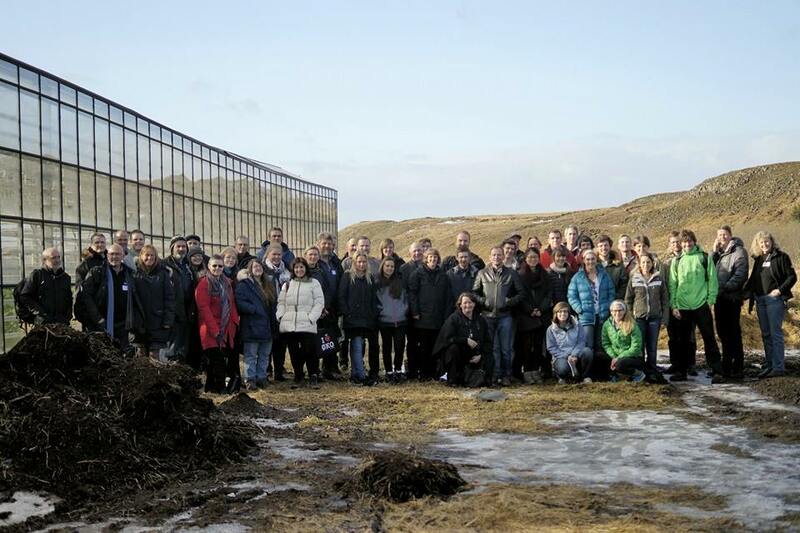 Copenhagen Hospitality College visiting the IGFF test plant for discussing possibilities of setting up a 130 m2 aquaponic production at their compound as part of their education of cooks, New Nordic Kitchen and understanding the ‘farm to fork’ concept with own fresh produce. 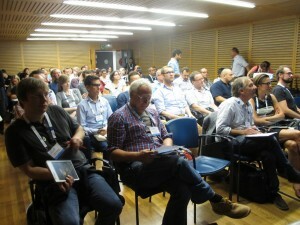 The EcoPonics group had three oral presentations at the aquaponics session of Aquculture Europe 14 held in San Sebastian in Basque country; AQUAPONICS AND THE PROSPECTS OF LARGE SCALE COMMERCIAL PRODUCTION, IMPLEMENTING COMMERCIAL AQUAPONICS IN EUROPE – FIRST RESULTS FROM THE ECOINNOVATION PROJECT ECOPONICS and MODELLING THE SYMBIOTIC EFFECTS IN AQUAPONICS. 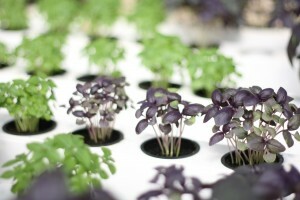 Design of Breens aquaponics development at Tknika. 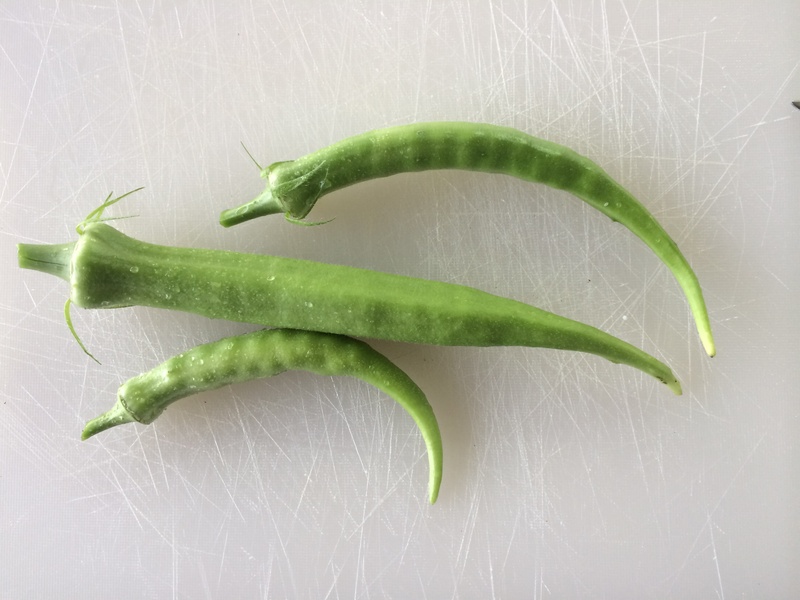 A double perspective on Erasmus for young entrepreneurs. 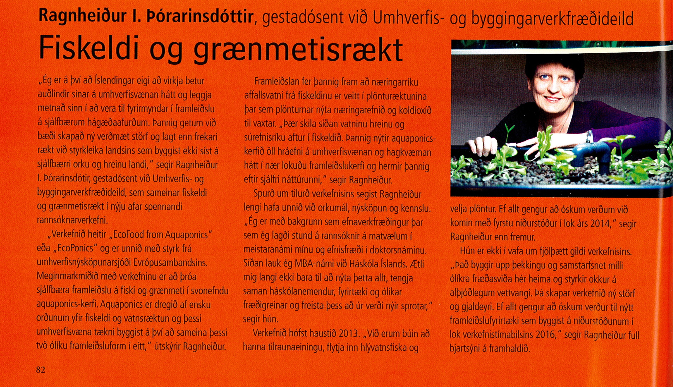 Interview on Unitee blog.